Elizabeth Baker brings decades of experience to her practice, which focuses exclusively on family law at the trial and appellate levels. Many of Liz's cases have involved high net worth individuals, celebrities, sports figures, judges, politicians and other high profile people who value confidentiality and maintaining their privacy. Because of the knowledge and depth of understanding she possesses, Liz's clients are assured—and grateful—they are working with someone who not only has their best interests in mind, but finds satisfaction in helping them overcome their negative situations so that they can go on to happier, more successful lives. Liz has tried many complex family law cases, including: equitable distribution cases in which assets like family businesses are valued and divided; custody and timesharing matters; and countless alimony and child support matters. She has also prosecuted and defended countless domestic violence cases, served as a guardian ad litem for children in high conflict custody battles and drafted numerous premarital and postnuptial agreements. In addition, Liz has contributed greatly to the advancement of the Family Law Bars through her participation in professional and bar activities, advocacy of legislative reforms, years of lecturers and publications, as well as the appellate decisions in her cases and her volunteer efforts on behalf of children and battered spouses. 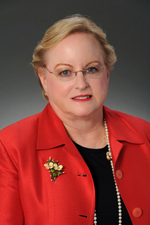 Liz has been a Florida Board Certified Marital and Family Lawyer for over 25 years. Prior to joining Hinshaw, she was a partner at a Miami-based firm. "Emergence of Children's Rights-Part II Enforcement Problems and Solutions: The Uniform Child Custody Jurisdiction Act"
"Legislative Update Seminar: Family and Juvenile Law"
Because of the depth of her knowledge on family law and her extensive experience working with high net-worth individuals, Liz is sought out by a variety of newspapers for interviews. Co-Author, "Establishing the Existence and Value of Professional Good Will as a Marital Asset"
"Drafting and Attacking Premarital Agreements" "A Practical Guide to Getting an Emergency TRO for a Battered Spouse"
"How to Recover a Missing Child After a Parental Kidnap"
"Interspousal Tort Immunity: Married Women's Identity at Law-Still an Uphill Battle"
Co-Author, "Additional Reasons to Avoid Bifurcated Proceedings: Possible Loss of Attorney's Fees Upon Remarriage of One Spouse"
Liz is the mother of two adult daughters: an architect and a fundraiser for the Apollo Theater, both of whom live and work in New York. She is also the very proud grandmother of four. Liz has been married for 45 years to Dr. Edward Baker, a professor at the University of Miami School of Business. She is an enthusiastic student of the Shakers, a utopian group that lives communally in Maine. Liz attends the annual Shaker seminar, and has visited most Shaker sites in the U.S. In addition, Liz is a fanatic reader of mysteries, and frequently solves crossword and Sudoku puzzles. She collects vintage costume jewelry from the 1940s. Her favorite Miami activity is the Miami Book Fair International. Liz has dedicated a majority of her life to advancing domestic violence awareness and prevention, children's advocacy, the literary arts and women's studies. Elizabeth Baker: Safespace Foundation, Inc.